Philadelphia, Pennsylvania might not quite be Torrey, Utah, but I still had no reason to expect that anyone I knew would be there. I went to Philadelphia specifically for the Mütter Museum. 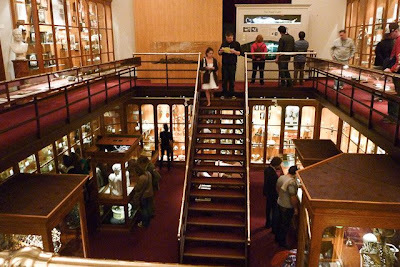 The Mütter, at the College of Physicians, is a museum of medical curiosities with the tag line, "Disturbingly Informative." Oh yes, that's right. It was my friend Val, also there with her husband, my good friend and former roommate, Alex. I'm tempted to say "small world," but as Alex pointed out, "I guess it's not that weird to find you here." I could say the same for him, that sicko. Alex and Val live in Connecticut, and as it happens, I was scheduled to show up on their doorstep in a couple days, so when we said goodbye at the museum it was, "See you soon." Incidentally, what is it with museums not allowing photography? That's another thing that's going to change when I'm king. 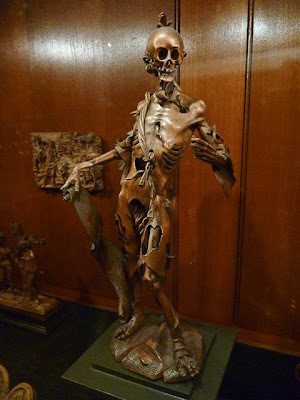 Out of spite, I snapped this picture in the Mütter. OK, so it's not Ansel Adams, what can I say, I snapped it blind while standing about five feet away from two security guards. In Baltimore I visited the excellent American Visionary Art Museum, which also doesn't permit photography. But there I didn't feel spiteful because I met the museum's founder and director, Rebecca Hoffberger, and she gave me cake, so that's all good. 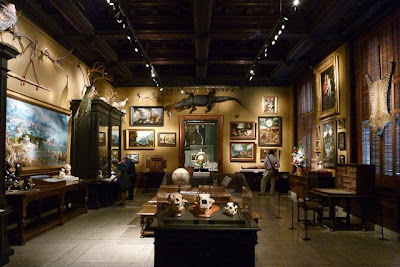 On a museum spree, I visited Baltimore's Walters Art Museum, which does allow photography, and is also awesome. 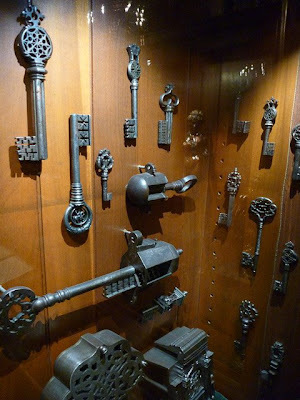 Specifically, their recreation of a 17th century "Chamber of Wonders" alone is worth the trip. Collections of oddities like this were the seeds of modern museums as we know them. 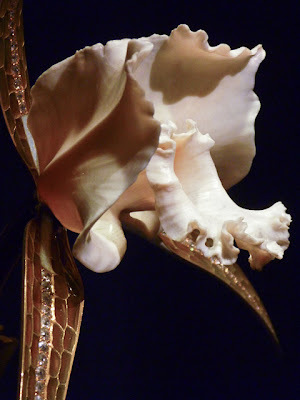 That last is an orchid carved out of a single piece of ivory. Damn. They don't make 'em like they used to. Ha, I thought you would run into Randi since she lives there! Even funnier that you ran into Valex!! Hope you visit again soon. Hi Amy, thanks for the comment. I certainly understand disallowing flash, and tripods, and commercial use, and all that. Seems a shame not to allow flash-free personal snapshots though. My travel photography blog just isn't the same without the photography. :-) In any case, I did really enjoy the Walters Art Museum (all the more so since I could take pictures) and I'll definitely be back the next time I'm in Baltimore. It's taken me this long, I know, but I'm realizing just how much of a museum-junkie you are. Not a bad thing. A fantastic thing, actually. Yeah, I do like a good museum, the weirder the better. If you ever come across one in your travels, don't pass up a chance to go to a Ripley's Believe it or Not museum. Definately weird.